It is now recognized that the modern workplace is in a state of flux, with more and more people working from home, either as part of a company in a flexible working arrangement or running their own business. This is due to the suite of digital tools that make running a business from home that much easier, especially project management, communications, marketing and administrative/financial management tools. Essentially, you can run a business from anywhere as long as you have the internet. Effectively separating your home is key to creating a successful home business as it helps you regulate your hours, leaving work at the desk once the kids come home. But what styles suit both your business and how you operate as an individual worker and business owner? Within a small space you want to create opportunities for rest, creativity and structure. 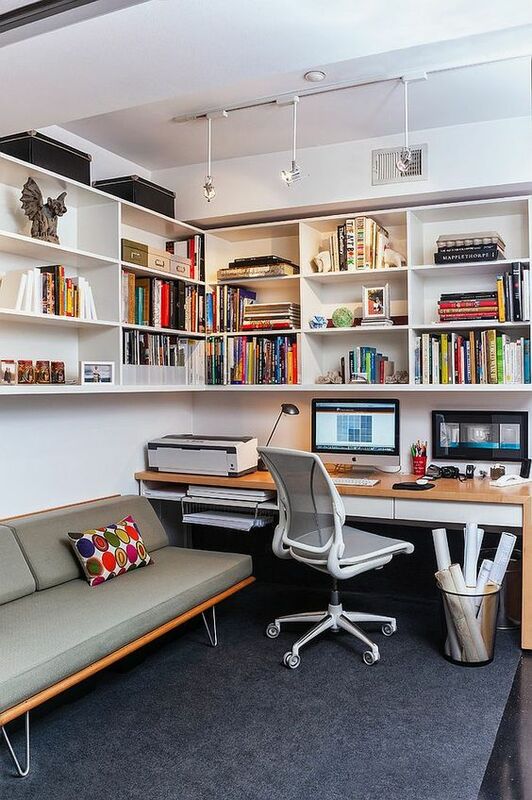 The above home office makes the most of a small space by including a couch for taking breaks in pursuit of finding solutions to problems, as well as plenty of storage for structuring the ‘workplace’. Natural light plays a pivotal role in maintaining the mental wellbeing of workers, and this should carry through to those working from home. 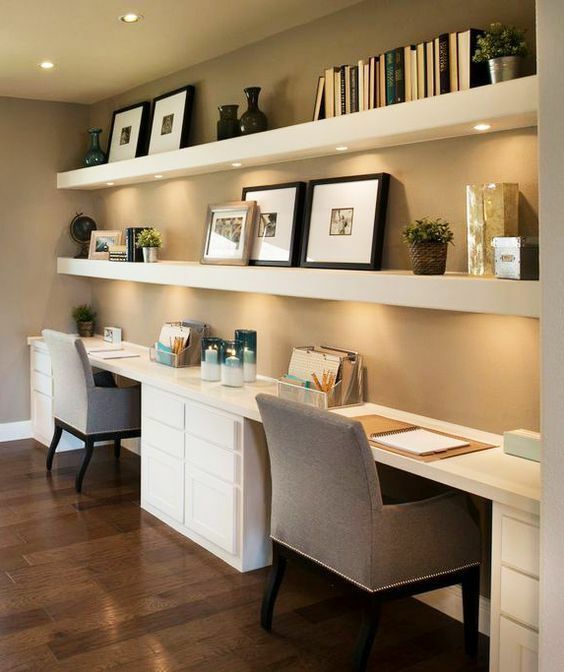 If you can, orient your home office so that you get plenty of natural light and air flow into your home office. 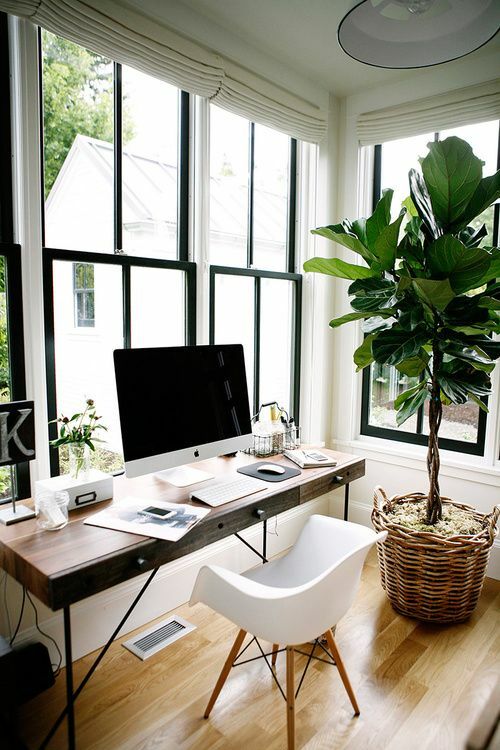 Natural light is also important for the growth of indoor plants, which have their own influence on mood when your into your third hour of doing your tax accounts. If your business is one that deals with clients in person, don’t be afraid to create a space in which you can meet with clients. If done effectively, potential customers will be impressed with the professionalism you demonstrate within your own home as an indicator of your ability to run a successful business. If your partner works with you in the business, make sure there is an identical working space for them within your home office. This will act to solidify this separation between the workplace and the home and help you in the sometimes obstacle-filled process of running a business with your significant other. 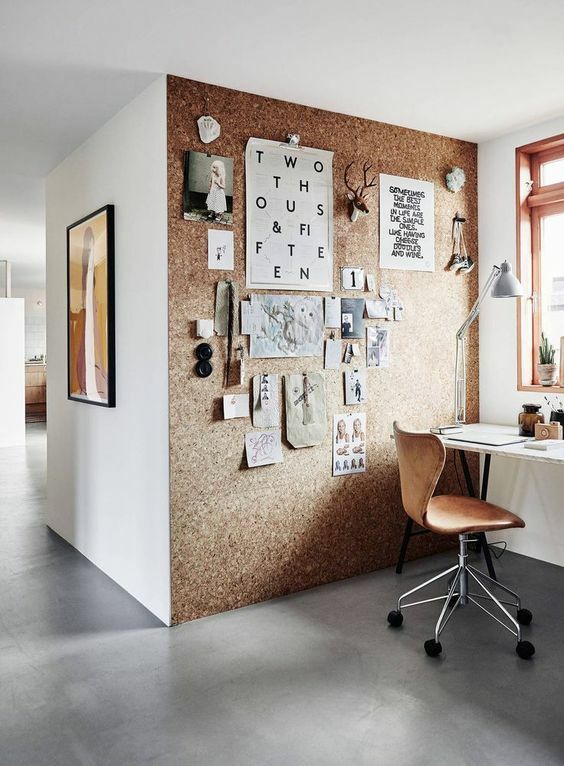 Creating a home office is the opportunity to implement all the things you wanted out of a desk at your old workplaces. Did one workplace lack any emphasis on having greenery inside? Counter that by creating a nursery inside your own office. Invest in a long desk if you always wanted the space to spread out your papers. Did you dread sitting under office lighting each day? Splurge on interesting and beautiful lighting solutions to inspire you each day. Did you work in an office with stock-standard inspiration quotes framed on the walls (the dreaded “Keep Calm” logo)? Invest in art that moves you and place it centre stage in your home office.